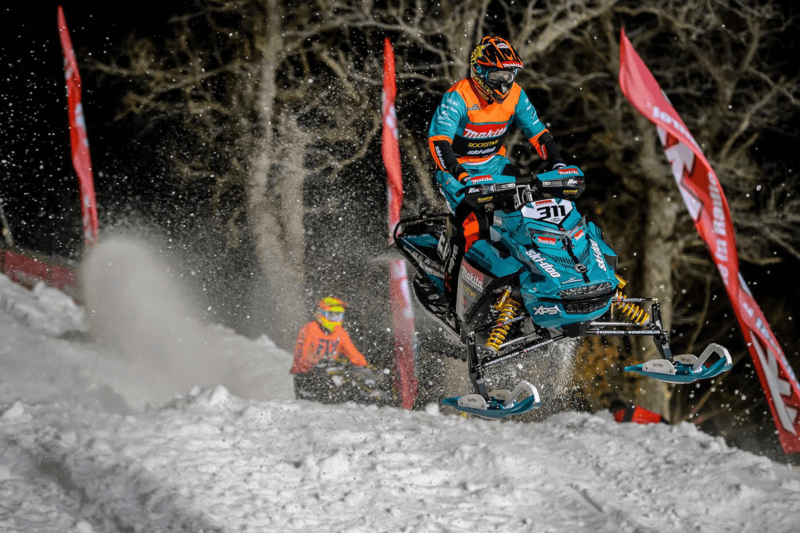 March has been the month of speed for Ski Doo’s Adam Renheim. 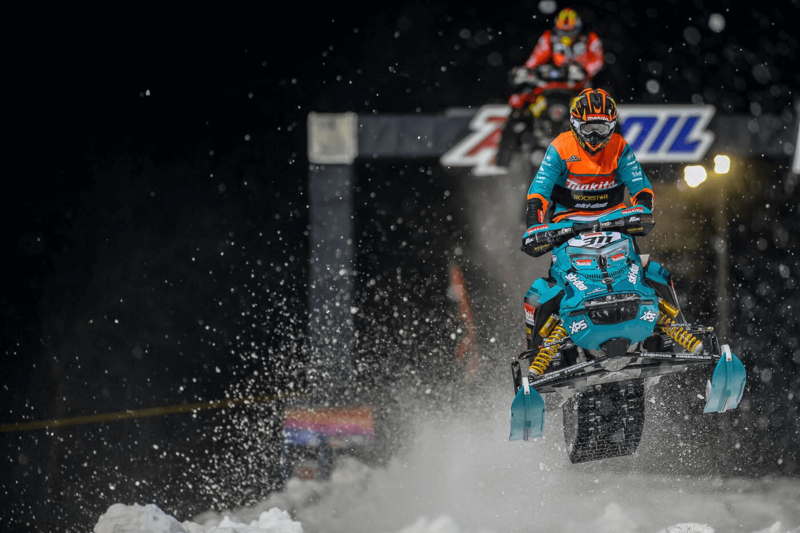 The Swedish rider carried his quickness over from the Iowa rounds, and used some proper timing to pick up his third win of the season as AMSOIL Championship Snocross POWERED by RAM enters its final day of racing for the 2018-2019 season. With all eyes on points leader Elias Ishoel and challenger Kody Kamm, the rest of the field could have let them battle it out in front. Instead, it was a cast of seasoned veterans and fan favorites that led the charge on Saturday night. Arctic Cat’s Logan Christian grabbed the Stud Boy Hole Shot with Adam Renheim, Danial Benham and Kyle Pallin in Row. 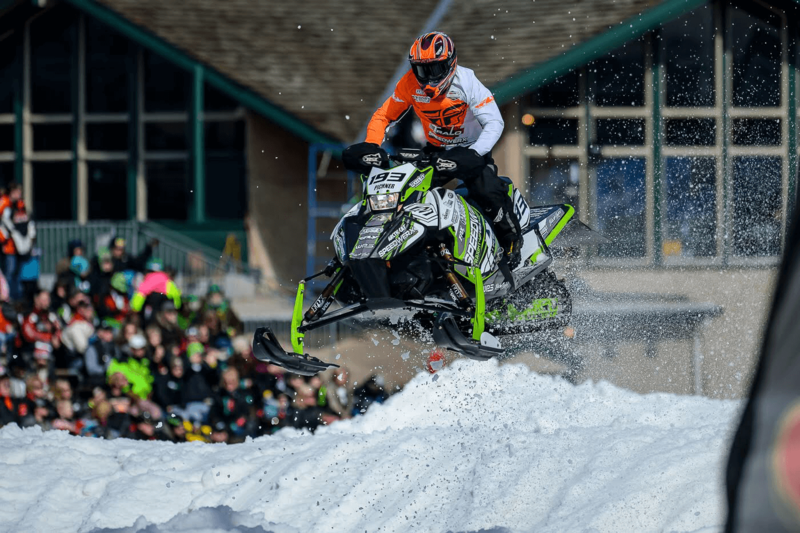 Further back, Ishoel and Kamm were washed up in the typical fray that comes with a Snocross start. Both riders sat outside if the top ten and with ISOC implementing the Joker Lane this weekend in Lake Geneva, both riders chose an early use of the extra circuit instead of trying to reach the front right away. Christian and Renheim saw to it that wasn’t an option. Christian led for the first four laps, with Renheim moving up and strongly challenging him. 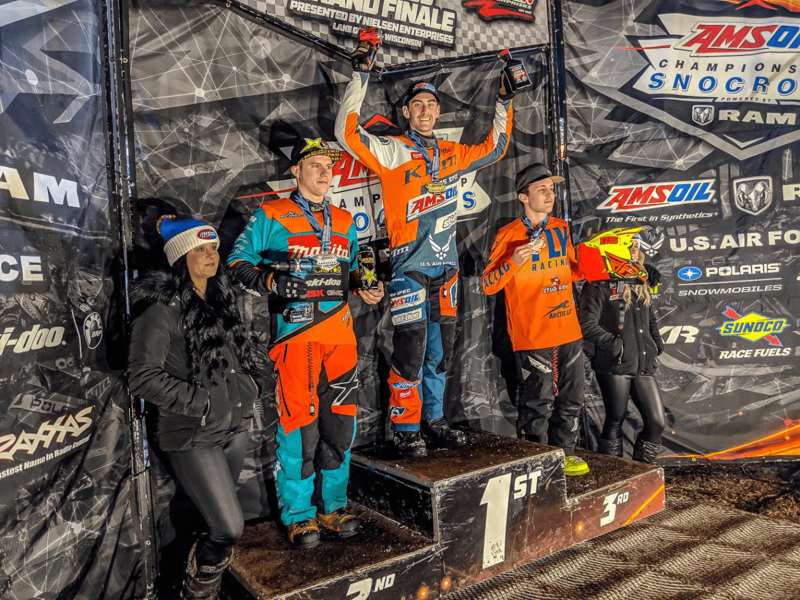 On lap four, Renheim disappeared in one of the legendary holes that gets formed on the Grand Geneva race track, and Christian looked poised to pick up his first win of the season. Renheim was able to quickly remount, and kept Christian in his sights. On Sunday, the class will crown a new champion, its first since the retirement of Tucker Hibbert. This years class has stepped up in his absence, none more so than Ishoel. 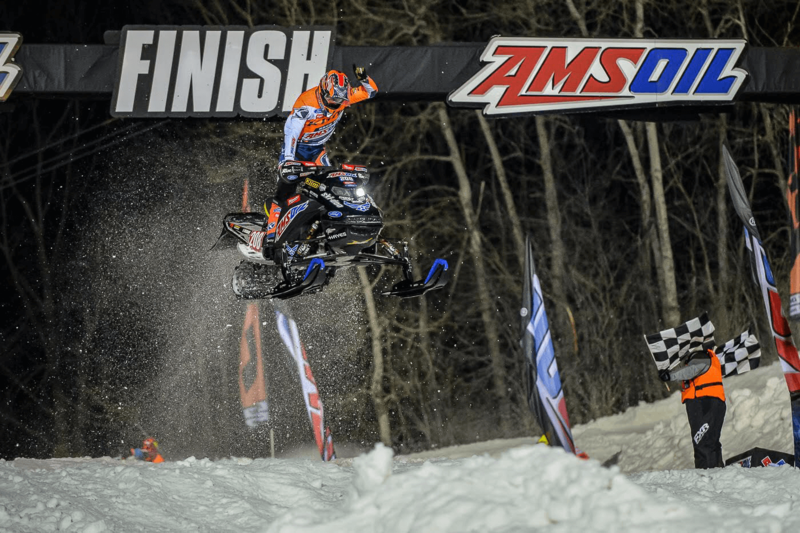 The Ski Doo rider has led the standings since Duluth and he looks to clinch his first pro title on Sunday. Kamm has an outside shot at his second career championship, but he will need a perfect day to unseat Ishoel. 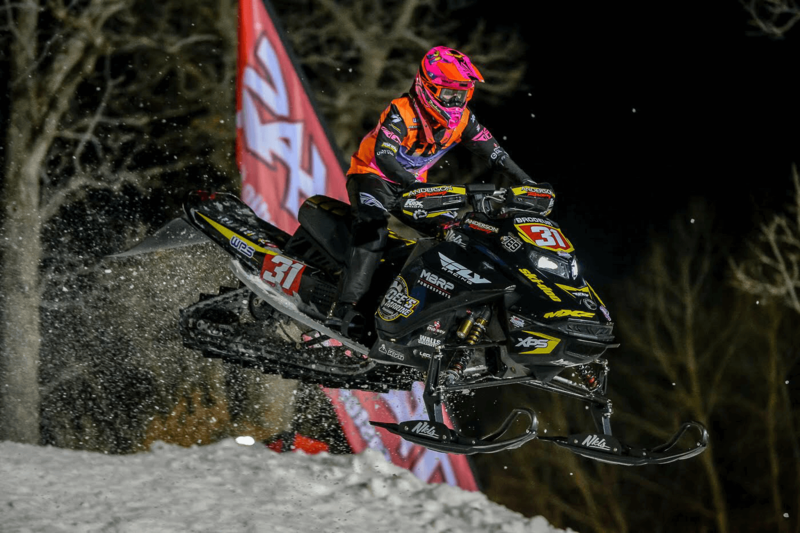 Ski Doo’s Hunter Patenaude’s run since the end of January has tilted the power in Pro Lite. In what was a crazy first two months in the class, but has now given way to the Vermont riders rise to the top, who is now on the cusp of his first title. Patenaude put his confidence back on display on Saturday, and despite falling in his second heat race, he was steady when it mattered most. He got a great start, timed his Joker Lane perfectly, and held of Ski Doo’s Francis Pelletier for the win. Pelletier can still get back atop the points standings on Sunday, and must ride well to overcome a 20-point deficit. Championships in several classes are still up for grabs on Sunday, including Snowbike, Sport and Sport Lite. A full rundown of all the 2019 champions will be published on Sunday night, including a look at Pro Am Women and Pro Am 30 Plus.